"Pizza store for sale in Washington DC H St, NE. Close to Union Station. I am asking $95K but I can accept reasonable offer. Must see. Interested, email me immediately won't last long. Owner has other interest, willing to sell immediately." 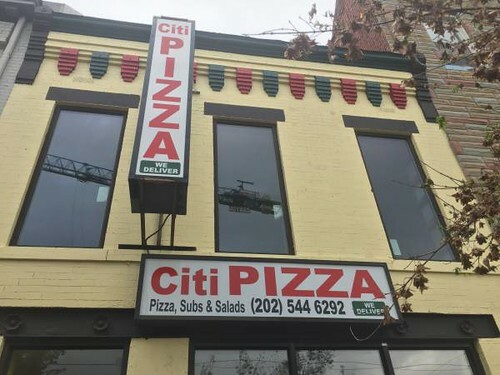 CitiPizza is located at 504 H Street NE. Is the owner selling the business or the real estate? For $95K? Definitely just the business. I doubt you'd find any building on H Street NE these days for that price (at least the commercial part of H St. before you hit the Starburst). What is doing down at the barer shop next to Po Boy Jims? I see the gates are down and a line of people at the door late nights. Unless it's another craigslist scam. They are selling just the business!